What if Ranchhodas Chanchad aka Rancho from 3 Idiots was a girl and forsaken by her family for her queer ways of getting things done her way? You get Meeta, gleefully played to perfection by Parineeti Chopra. So much so that your heart goes out for her every time she sneaks into her home just to catch a glimpse of her father, despite her backstory being half-baked enough for anyone with an iota of logic – a feat that can only be achieved through a well-written screenplay. Armed with peppy music by Vishal Shekhar (‘Shake it like Shammi’, ‘Manchala’ and ‘Zehnaseeb’ fit into the narrative seamlessly, while ‘Drama Queen’ and ‘Punjabi Wedding Song’ are more of loo breaks) power-packed performances by the lead pair, Siddharth Malhotra and Parineeti Chopra, director Vinil Mathew ensures that your emotions triumph over your intelligence through a rollercoaster of a ride called Hasi Toh Phansi. Peppered with emotional scenes and humour (the midnight balcony scene between Siddharth and Manoj Joshi, the sauna meeting with Tinnu Anand, and the Anu Malik-inspired character trying to curb his ‘singing urge’ when he isn’t supposed to, are indeed hilarious), the film’s writing is so restrained that it does away with every cliché you expect in such genre, including marathon of a monologue by the hero to the heroine’s father (Last seen in Chennai Express) – writer Harshvardhan Kulkarni, take a bow. They say the best cinematography in a film is where you don’t notice that the cinematography is beautiful. Sanu John Varughese scores here for keeping it simple. As a viewer, you seldom notice how beautifully he has captured the moments shared by Nikhil and Meeta, which is an achievement for every cinematographer worth his salt. Actor Siddharth Malhotra’s Nikhil is a character one can relate to and lends an empathetic tone to a role generally approached as a cute guy with bushy eyebrows, syrupy expressions, sugar-coated lines, cheesy plot, and unmistakable puppy-dog loyalty. Did you just say Imran Khan? Siddharth, with his commendable charm, makes his presence felt despite locking horns (and lips) with the fiery-feasty Parineeti Chopra. If any filmmaker ever dares, I repeat ‘dares’ to attempt yet another remake of Zanjeer and Sholay, Siddharth is sure to bag the roles of Vijay and Jai Dev, and he’d surely not disappoint. Blasphemy did you say? You got to watch ‘Hasee toh Phasee’ to buy this. 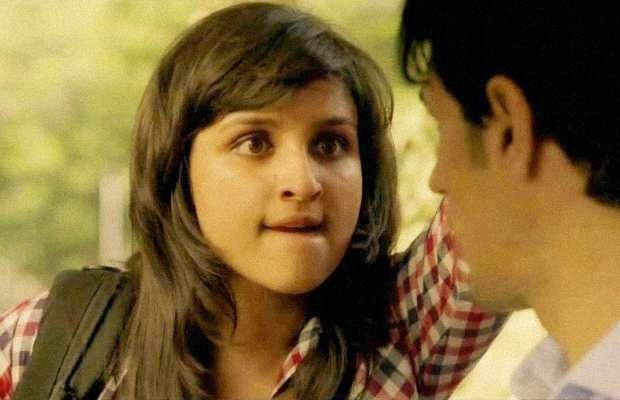 Parineeti Chopra seems to have grabbed the film by its collar and owns every frame of it. Having said that, Manoj Joshi is someone who rightly deserves every accolade in best supporting actor for his nuanced performance and surprisingly restrained performance, which is a far cry from what he has been doing in Priyadarshan movies. While we’re at it, I’d like to mention the scene where Parineeti’s character confesses that she had stolen money from him and he looks at her intently to ask, ‘To fir churaaya?’ This line is punctuated by silences which are so eloquent that you wish to hang on to every moment of it. Interestingly, the film ‘Hasee Toh Phasee’ has shades of its producers Karan Johar (In the wedding songs), Vikramaditya Motwane (In the childhood version of Siddharth’s character where he fools a hawaldaar to watch Agneepath reminds of the ‘Kantilal ke angoor’ scene from Udaan), and Anurag Kashyap (In the dialogues written by him, especially the ‘emotional dhakkan’ scene). The only things that don’t work for the film are its harebrained title and equally silly backstory of Meeta being forsaken by her family (‘Love Shuv Tey Chicken Khuraana’ used the same lame cliché but with conviction) – all forgiven as long as one forgets to tweet while watching the film. Am glad I didn’t. 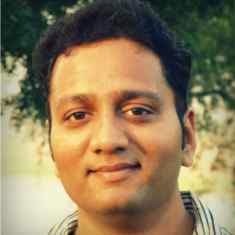 A Vadodara-based Copywriter, Author, Poet, and Short Film-maker backed by experience of ten years in creative writing. His book, Baker′s Dozen - a brew of short stories is available at leading bookstores across India.